This article is a Letter to the Editor, written as a response to the December 6 article, The Rise and Fall of Middlebury. Have an article idea or a letter to the editor that you want to submit? You can reach The Eighth Man’s editorial staff at editors@eighthman.com. I want to state my opinion about the recent article about Middlebury. I agree that it was a big shock to the quidditch community when it was announced that they would not be playing D1. I have to disagree though with two other points made in the article: that Middlebury’s loss signals the end of their dominance, and that this loss means that the big and public schools will now be the dominant force over the small and private schools. Just because Middlebury lost their chance to win the World Cup does not mean they can no longer be an excellent quidditch team. I am not a member of Middlebury‘s team, but if I was, I would not take this loss not as a death knell to the program. Rather, I would take it as a lesson to improve the program and learn what was done wrong and correct it. I refuse to believe that the five time world cup champions are going to lie down and die. So, yeah, they’re not going to win the championship this year, but next year they could come back better than ever if they are willing to put in the work necessary. 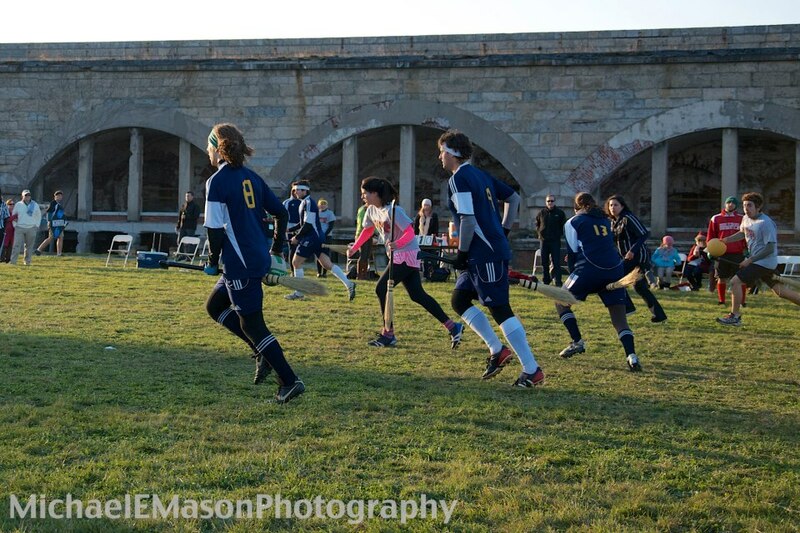 Middlebury’s loss is disheartening, but it is not a reason to discount private schools from playing competitively in quidditch. Often in the quidditch community I hear that private and small schools are at a disadvantage compared to state schools due to their size. A larger school means having a larger pool to recruit from. But I think that people are overestimating the advantage of state schools. Yes, they may have a larger student population but that does not make them automatically better. The training of the team is more important than the size of the school, and if you look at the regionals taking place in the US, you can see that the supposed state school dominance is not really happening. Every regional in the US that has already happened has had a private school win first place, and two of them had only 10,626 and 11,749 students attending their respective schools. Plus, another 6 private schools are going to be also playing in D1 so far, so I think it’s going too far to say that a small or private college can’t face off against big state schools and win.